You can simply add background-color to your form. 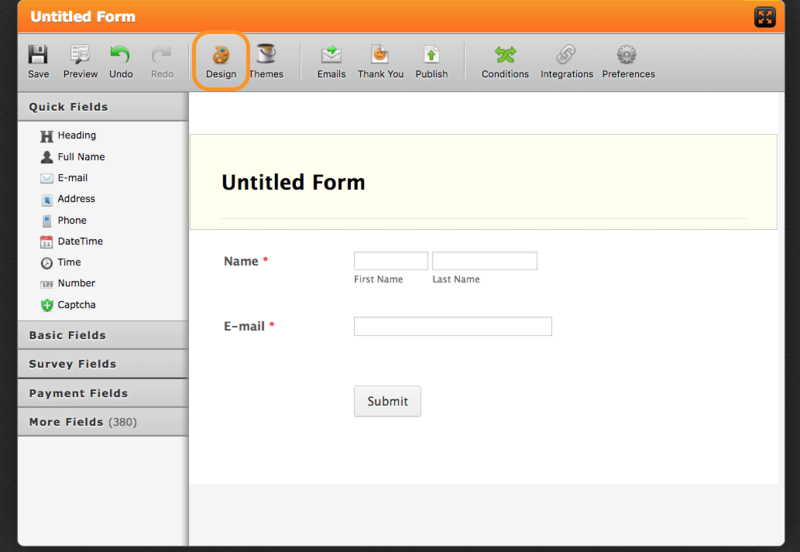 1) Click "Design" button in your form designer. 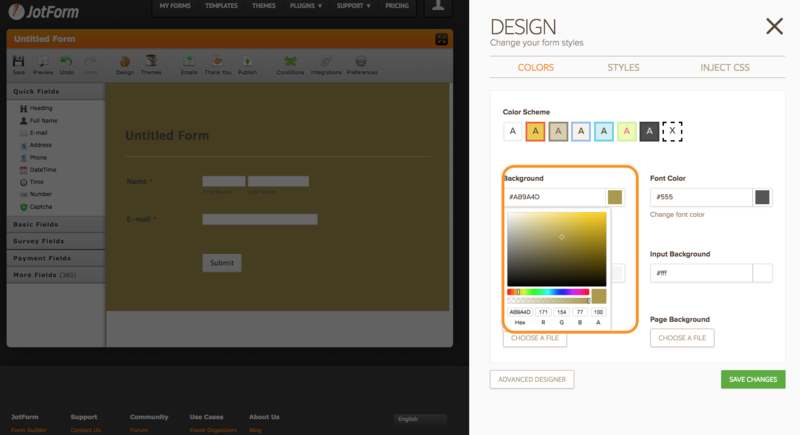 2) Click and select your form background color. Then click "Save Changes"
Please feel free to ask if you need any further assistance.